Is It Possible That Bobby Flay Quits the Food Network? When you’re talking about the Food Network there are a few names that are bound to come up since they’re the legends that helped to put the channel back on the radar for a lot of people and are those that are normally considered to be the experts when it comes to just about anything with food. 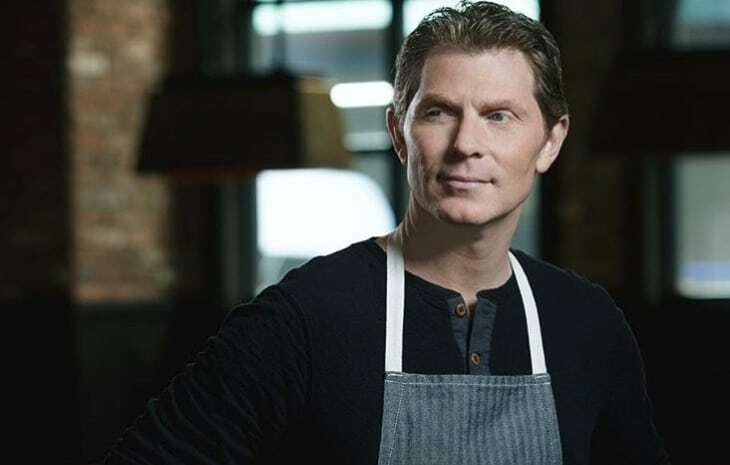 Bobby Flay is a name that many people know and revere since he’s one of the absolute best and is among those chefs that has proven that he’s one of the absolute elite. So why would he ever think of leaving the Food Network? There’s more to consider than people might think however since over the years Flay and the network have had a few ups and downs that a lot of folks don’t know about and might have tainted his relationship with the channel just a bit. For those that watch Iron Chef and know as a result that for 17 years he’s been one of the top and most dominant chefs on the show it might be remembered that he announced his last show in a way that the network never approved and was more than a little controversial in the doing. Bobby actually wore a shirt saying that the current episode was his last Iron Chef battle ever, a statement that threw everyone for a loop, including the judges, and wasn’t that well-received by the network. They did what they could to blur the words on the shirt out, but the damage was already done at that point and many people were left flabbergasted since to see one of the best chefs in the world simply make a statement like this was something that no one could have possibly predicted.